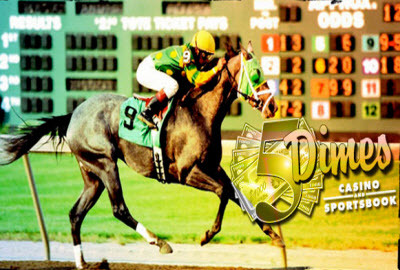 5 Dimes is rapidly becoming one of the most popular racebooks for bettors. With more than 1,000 betting options and access to the world’s most popular racetracks, this racebook offers a full wagering menu as well as simulcast coverage of tracks like Santa Anita and Belmont Park. Another great feature of 5 Dimes is that they also offer rebates on losing wagers. 5 Dimes is not new to the online gambling industry. The company established its first online casino in November of 1996. Licensed in Costa Rica, 5 Dimes has more than 20 years of experience in bringing Las Vegas style gambling to computer platforms. This longevity speaks well of the company’s integrity and reputation. Among the strong points of 5 Dimes is a stellar customer service department that is available to players 24/7, 365 days each year. Players can contact customer service via email or telephone, and there is also the ability to chat live. Issues that arise are resolved quickly. Payouts are handled quickly and most players report that they have had no issues with receiving their winnings. 5 Dimes also offers those who like EZ Horse Betting rebates on all wagers made at the racebook. The rebates are based on bet volume and can total as much as 9%. Players are not limited to how much they can earn on a given day. Rebate shops have become increasingly popular among horse bettors and many people are now choosing to bet horses online rather than visit a live track because they can earn rebates. Rebates are credited to a player’s account each day at 10 A.M. EST. All major racetracks in the United States and abroad are available for wagering at 5 Dimes. All bets that are available on track are also available at 5 Dimes. You can play the Daily Double, exacta, trifecta, and all of your favorite straight bets like win, place, and show. One hallmark of 5 Dimes is a unique Plus 10% Racebook. Players who choose this option over the rebate option have 10% automatically added to their winnings. You will receive the track odds plus an additional sum of 10% when you win. 5 Dimes Racebook is linked to the parimutual pools at major racetracks all over the world. You can bet with confidence that you are receiving the same odds as bettors on the racetrack. The funding methods at 5 Dimes are varied and will accommodate most any player. Players may choose to deposit with a credit card and have their deposit credited immediately. Money orders can also be used and are posted to a player’s account immediately upon receipt. This racebook also accepts Bitcoin for deposits and will payout in Bitcoin upon request. There is no fee for using Bitcoin, credit cards, or money orders. Individuals can also initiate person to person transfers by contacting customer service. Most withdrawals at 5 Dimes are processed the same day the withdrawal request is made. There is a fee of $80 applied to requests for withdrawals by bank wire, but most other methods do not inclue a fee. 5 Dimes Racebook has a good reputation for completing withdrawals in a timely fashion. In addition to rebates, a full betting menu, and a Plus 10% option, another advantage of 5 Dimes Racebook is that players can also participate in sports betting, poker, or games like blackjack and slots at the live casino. The platform at this online racebook can be accessed with a computer, smartphone, or tablet. 5 Dimes provides a complete mobile betting solution for those who do not live close to an actual racetrack. The software used to power online gambling at this racebook is state of the art and reflects the latest advancements in online betting technology. 5 Dimes also used device-based authentication to help protect players against attempts to steal account information. The racebook uses high level encryption to safeguard player’s personal information. Players can opt-in to the device-based authentication and are strongly advised to do so. The only real disadvantage of this racebook is that winnings are capped at certain amounts for certain bet types. In most cases, the maximum amount that can be won on any horse racing bet is $30,000. This can be discouraging to those who like to try for six-figure payouts on bets like the Pick Six. It should also be noted that customers from outside of North America are required to complete a one-time rollover of their deposit amount to make a withdrawal without a penalty. This is easily accomplished, however, and should not be a problem for most bettors. 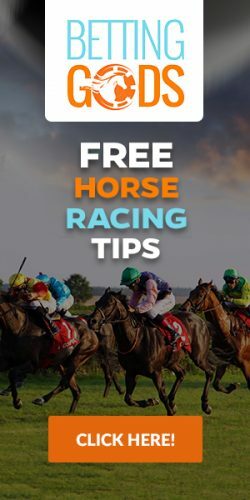 Because of the numerous advantages offered by 5 Dimes Racebook, EZ Horse Betting recommends this racebook to all individuals who wish to bet on horses from the comfort of their own home. The rebate option is great for those who make a lot of bets, and the Plus 10% option is fantastic for the casual bettor. Signing up for an account at 5 Dimes takes only a few minutes and players can be wagering real money within minutes of signing up. We give 5 Dimes Racebook four-star rating on a scale of one to five. Click HERE to visit 5 Dimes : US Players welcome!